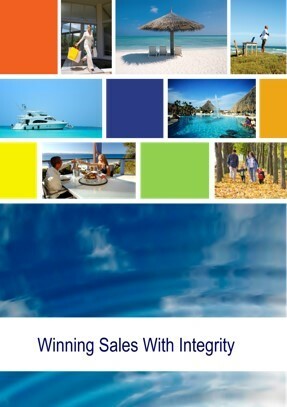 Sales & Selling Skills with Integrity Training Course Online – Effortless Results! Imagine if you could motivate and educate your employees to win more sales, just by how they answer the phone, carry out quotes, estimates or even the interactive work for clients. Motivating your staff in all aspects of your business, to significantly increase your sales, profits and referrals is now easy to achieve with this one-day workshop. ♦ An engineering company in Toowoomba added $400,000 to the monthly sales – in the month after this training. This content has been created from years of listening to business owners challenges about sales, from time wasting prospects, to difficult people, to price objections to competitors. This course has all of that covered, with thoroughly proven techniques so you can win more sales, almost effortlessly. The course is delivered both online and offline to small groups using a video conference platform. You’ll be able to both see and hear your Trainer and interact with questions while taking notes in your comprehensive workbook (mailed prior to the meeting). The workshop is held over 2 sessions a week apart as this brilliant and practical content can be applied and discussed the next session. The half-day a week training is also perfect for retention of the content and therefore its use and results.